THE BEST VALUE IN THE NEIGHBORHOOD!!! GREAT OPPORTUNITY! Beautiful 3bdr, 2 bath home with open kitchen, large family room, spacious bedrooms and beautiful new deck in the backyard. The kitchen is light, bright and open, complimented by stainless appliances and a large pantry. All appliances stay including washer and dryer. 1 car oversized garage with room for storage plus additional storage available in easily accessible crawl space. SELLER IS PUTTING ON A NEW ROOF. Great community! Close to the large common area park and community pool and water park. 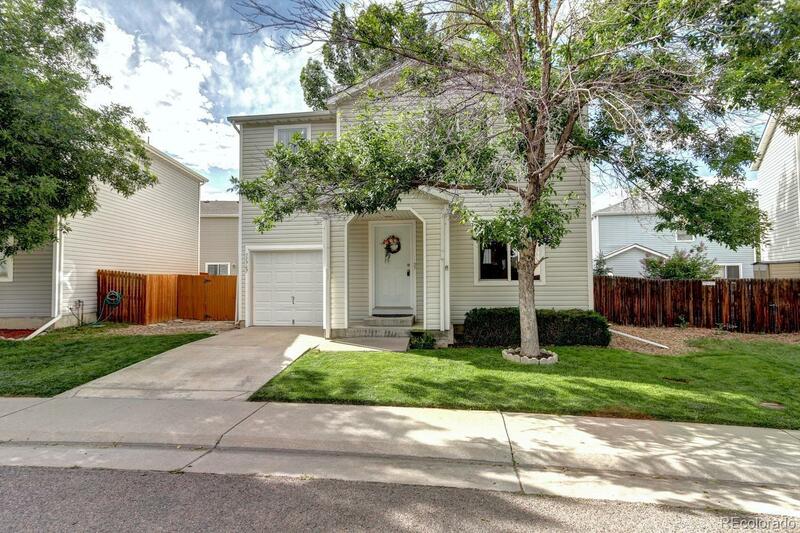 Easy access to walking and biking trails, HWY 285 and C-470 and minutes from Bear Creek Lake Park and Southwest Plaza Mall.OPEN HOUSE SUNDAY JULY 1ST, FROM 12:00 PM - 3:00 PM.